HSSC Group D Recruitment 2019 Notification is released @ hssc.gov.in Job hunters can make utilize of this opportunity & apply for HSSC Group – D Recruitment 2019 on or before the due date i.e, 22nd April 2019. Get detailed information regarding Haryana Staff Selection Commission Group – D Recruitment 2019 Notification such as Age Limit, Educational Qualification, Selection Process, Salary Offered, Important Dates, etc in this page. Haryana Staff Selection Commission (HSSC), Haryana has published Latest Employment Notification for the recruitment of a large number of eligible candidates for various vacancies under HSSC Haryana Recruitment 2019. In regard to this, the officials of Haryana Staff Selection Commission has invited HSSC Recruitment 2019 application forms for the recruitment of Group – D vacancies. This HSSC Group – D Jobs 2019 provides a good opportunity for the candidates to work in a reputed company and give you a great career ahead. Candidates who are interested to work in the Government sector can apply for HSSC Group – D Vacancy 2019 before the due date to avoid the server issues. The HSSC Group D Recruitment 2019 Registration Process ends on 22nd April 2019. In the below article, check out the essential details of Haryana Staff Selection Commission Group – D Recruitment 2019 Notification such as Age Limit, Educational Qualification, Selection Process, Salary, Important Dates, etc. HSSC Posts details are as follows. Also, refer the official HSSC Group – D Recruitment 2019 Notification to know the category wise vacancy details. Candidates who are fulfilling the below mentioned eligibility criteria can apply for HSSC Group – D Vacancies 2019 on or before the deadline. If you are not eligible for the above HSSC Jobs 2019, then do not worry, get Latest Employment News 2019-20 from here. The age limit of the applicants applying for HSSC Group – D Jobs 2019 should be within the below limits. Upper age relaxation is applicable to the reserved category candidates as per the rules. See the official HSSC Group – D Vacancy 2019 Notification Pdf link attached below. Applicants must have See Notification to apply for HSSC Group – D Jobs 2019. 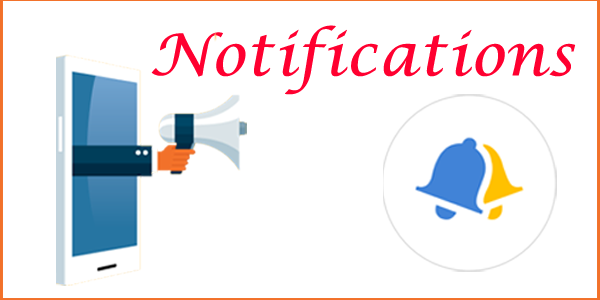 Refer the official HSSC Group – D Jobs 2019 Notification to get the detailed educational qualification details. Here, you can also find further details of HSSC Group D Recruitment 2019 Notification such as Application Fee, Selection Process, Salary, Important Dates, Notification & Apply Online Links, etc. The Application fee for HSSC Group – D Vacancy 2019 may vary according to the category as below. The HSSC Group D Recruitment 2019 Selection Process involves the following stages. Selected candidates for HSSC Group – D Jobs 2019 will receive a good pay scale as per the norms of the organization. Haryana Staff Selection Commission has invited the HSSC Group – D Recruitment 2019 online applications from the young and energetic Indian citizens possessing Haryana state domicile for selection to the above mentioned posts for HSSC’s offices in Haryana with the good pay scale. The Process of Application for HSSC Group – D Vacancy 2019 has already started. So, apply for HSSC Group – D Vacancy 2019 as soon as possible, as waiting till the last moment will let you face server issues. Follow these simple guidelines to fill the HSSC Recruitment 2019 Application Form. Search for the related link “HSSC Group D Recruitment 2019 Notification“, click on it. Go through the details mentioned in the official hssc.gov.in Recruitment 2019 Notification Pdf. Check the eligibility requirements, if eligible, then click on “Haryana Staff Selection Commission Recruitment 2019 Apply Online” tab. Fill the HSSC Group – D Recruitment 2019 Application form with all the required & mandatory details. Cross check all the details once before submitting the HSSC Group – D Recruitment 2019 Application form. Our team has shared the full information regarding HSSC Group D Recruitment 2019 Notification for the guidance purpose. In case, if you have any queries about HSSC Recruitment 2019, leave comments in the comment section or Bookmark our page using Ctrl+D. Follow our site RRB Recruitment periodically to get the Latest Govt Job Notifications, etc. HSSC Group D Recruitment 2019 Notification out recently. Interested candidates can check the full details & then start Application Process for HSSC Group D or Class 4 Bharti 2019. The Haryana Group D Bharti 2019 Application form available from 29/08/2019 to 18/09/2019 @ www.hssc.gov.in. Important details like Age Limit, Educational Qualification, Total Vacancy, Salary, Selection Process etc. regarding Haryana Group D Recruitment 2019 given below. Recent Update: Haryana Staff Selection Commission opened the link to download HSSC Group D 2019 Admit Card on 29/10/2019. For Gr D Exam Dates related info and to get Hall Ticket, go through the link. Haryana Group D Exam Dates 10, 11, 17, 18 November 2019. As per official Haryana Group D Bharti 2019 Notification, candidates who have passed 10th class & having the knowledge of Hindi/ Sanskrit languages are eligible. Willing candidates who have met the eligibility criteria can apply for Haryana Group D Vacancy 2019 before the last date i.e, 18th Sept 2019. In this article, we have gathered the full info regarding HSSC Group D or Class 4 Bharti 2019 like Vacancy, Eligibility Criteria, Selection Process, Salary, Important Links & Dates, etc. To apply for Haryana SSC Group D Recruitment 2019, candidates have to ensure the following age criteria & educational qualification. For more information, go through the Haryana Staff Selection Commission Official Notification. Candidates who have passed matriculation (10th Class) and having Hindi/Sanskrit as one of the subjects up-to Matriculation to apply for HSSC Jobs 2019. In addition to the eligibility criteria, get the further details of Haryana HSSC Group D Recruitment 2019 like Application Fee, Selection Process. Furthermore details of Haryana SSC Gr D Jobs Pay Scale, How to Apply, Important Dates, Notification & Apply Online Links, etc also provided. For Male/ Female candidates: Rs 100/-. Physically Handicapped/ Ex-Serviceman of Haryana: Nill/-. Female candidates (Haryana Resident): Rs. 50/-. SC/ BC (Male) candidates of Haryana State: Rs. 50/-. SC/ BC (Female) candidates of Haryana State: Rs. 25/-. Candidates who wish to apply for HSSC Vacancy 2019 have to fill & submit the Application form through online mode before the last date. The HSSC Group D Recruitment 2019 Apply Online Link will be available active from 29th August 2019 to 18th September 2019. Look at the step by step procedure provided below while filling the HSSC Group D Application form 2019. On the homepage, search for the related link “HSSC Recruitment 2019 Notification“. Read the full details provided in the official HSSC Group D Notification 2019 Pdf. Check the eligibility Criteria for HSSC Group D Vacancy 2019. If eligible, then press “Haryana Group D Recruitment 2019 Apply Online” link. Enter all the necessary details in the HSSC Gr D Recruitment 2019 Application form. Recheck all the details once before submitting the Haryana Group D Class 4 Application form 2019. Finally, keep the hard copy of the HSSC Group D Application form 2019 for future reference. Therefore, Our team shared the full information regarding HSSC Group D Class 4 Bharti 2019 Notification is for the reference purpose. If you have any queries, leave comments in the comment box. So that, we will come up with the necessary answers to your questions as early as possible. Keep visiting our page Naukri Samachar for more Job opportunities. Hello,i belong to punjab ,Do I apply ? ?